Edda Klipp (born 1965) studied theoretical biophysics at the Humboldt University Berlin. A member of the Yeast Systems Biology Network, her research interests include mathematical modeling of cellular systems, signal transduction, systems biology, and text mining. Wolfram Liebermeister (born 1972) studied physics in Tübingen and Hamburg and obtained a PhD of theoretical biophysics at the Humboldt University of Berlin. 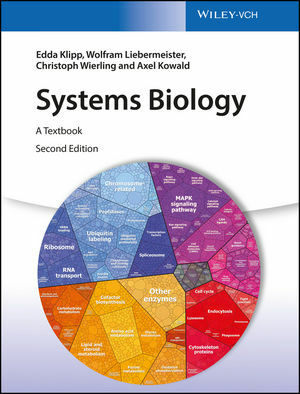 In his works on complex biological systems, he points out functional aspects like variability, information, and optimality. Christoph Wierling (born 1973) studied biology at the University of Münster and recently obtained a PhD degree on the modeling and simulation of biological systems. Axel Kowald (born 1963) holds a PhD in mathematical biology from the National Institute for Medical Research, London. His current research interests focus on the mathematical modeling of processes involved in the biology of aging and systems biology.